So you’re finally ready to make the leap into home ownership. Congratulations! First, I hope you’ve contacted ME to help you with that important step, but secondly, there are a few things to keep in mind to make the process as easy for you (and your lender!) as possible. As soon as you begin even pondering the idea of taking out a home loan, keep these things in mind. 1. DO NOT CHANGE JOBS. Changing jobs before of during the loan process can create a real problem in qualifying you for a loan, particularly if that job is in a different line of work or at a lower rate of pay. 2. DO NOT SWITCH BANKS OR MOVE YOUR MONEY AROUND. It’s best to leave your money right where it is until your loan is closed. Movie your money to a new bank or even to a new account can wreak havoc on the verification process. 3. DO NOT PAY OFF BILLS. Let your loan officer advise you whether it’s necessary to pay off bills and which ones to help you qualify for a loan. 4. DO NOT MAKE ANY MAJOR PURCHASES. 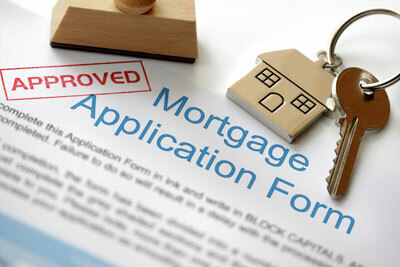 A large monthly payment can affect the amount of loan that you’ll qualify for. In other words, don’t go out and lease a Bentley right before you plan to buy a home! If you’re thinking you might be ready to start the process, it’s never too soon to chat with a lender, who can tell you fairly quickly where you stand as far as your ability to qualify for a loan. The sooner you start that process, the more time you have to make any adjustments that might help your situation. A good lender can sometimes give you some instructions or assistance in getting your credit score up a few points, which can make a huge difference in your rate. Feel free to reach out to me if you need the name of a great lender. And then let’s get you on the road to home ownership! Download my real estate search app HERE!